Ed. Note- We continue our look at the 100 Greatest Songs of the Modern Era with Part Two of our five-part series. To look back at songs No. 100-81, and to see Andy's methodology, click here. Narrowly edging ‘Comfortably Numb’ as Pink Floyd’s top song, ‘Wish You Were Here’ serves as a subtle tribute to former frontman Syd Barrett, who left the band after a drug-induced mental breakdown. The thoughtful lyrics flow magnificently with the melodies to create a finished product that is powerful, despite its tranquility. Pink Floyd achieved that flow through an uncharacteristically interactive collaboration between primary songwriters Roger Waters and David Gilmour. ‘California Dreamin’ co-writer Michelle Phillips once said, “It’s really about getting out from under the circumstances of your life, and going to a better place. That’s a theme that doesn’t lose appeal.” The better place the song referenced was California, perpetuating the “California Myth” that bands like The Beach Boys popularized in the early 1960s. Dreams of perfect weather, nice cars, pretty girls, the beach, surfing, and youthful innocence all resonated with people struggling through cold northern winters. Denny Doherty’s empowered lead vocal performance drives home the lyrics’ sense of longing. Hal Blaine’s vigorous drumming and Bud Shank’s unique alto-flute solo provide the finishing touches on an expertly crafted song. Biographer Peter Guralnick praised Elvis’ singing, citing his “remarkable mixture of tenderness and poise” combined with “an expressive quality somewhere between stoicism (at suspected infidelity) and anguish (over impending loss).” Said rock critic Alan Light, “‘Suspicious Minds presented an emotional complexity, a rendering of an adult struggle with an adult situation, that was unprecedented in the Presley canon.” Mark James wrote and originally recorded the song, but Elvis sang it with conviction, as though he were experiencing the story the lyrics told. After serving in the military and pursuing an acting career for years, The King proved he had not lost his prowess as a musical performer. John Lennon called Elton John’s first pop hit “the first new thing that’s happened since we [The Beatles] happened. It was a step forward. There was something about his vocal that was an improvement on all of the English vocals until then.” The finest of many Elton John ballads introduced the English singer to American audiences and established him as a star. ‘Crazy’ was “an insanely infectious piece of music with elements from a host of musical genres: powerfully soulful, rooted in hip-hop, with a retro-pop sheen, rock-tinged, and an incredibly cool dance track…That melody, adapted from a 1960s spaghetti Western theme, combined with Cee-Lo’s sky high falsetto, a slick arrangement with strings, a quietly rumbling rhythm track, and those simple but compelling lyrics, produced a modern pop classic,” said music author and critic Steve Sullivan. The song weaved genres together seamlessly, allowing it to top a diverse range of charts and maintain its appeal after more than a decade. Donald A. Guarisco of AllMusic praises ‘Dancing Queen’ for its “sophisticated melody that builds from languid yet seductive verses to a dramatic chorus that ascends to heart-tugging high notes as the lyrics reach their emotional peak. The result is a song whose sincerity and sheer musicality have allowed it to outlast the disco boom and become a standard of dance-pop.” In the fad-filled disco era of the mid-1970s, the incredibly catchy, passionate melodies of ‘Dancing Queen’ have separated it from the crowd and helped it stand the test of time. When The Verve sampled The Andrew Oldham Orchestra’s remake of The Rolling Stones’ song ‘The Last Time,’ the Stones’ copywriters forced them to assign songwriting credits to Mick Jagger and Keith Richards and give up all royalties from the song. Richards scoffed at The Verve for not being able to write a great song on their own, but the single became Jagger and Richards’ most successful since ‘Brown Sugar’ in the early 1970s. ‘Bitter Sweet Symphony’ turned a forgotten cover into a timeless, majestic rock song, and The Verve certainly deserves some credit for making that transformation. The Telegraph called Bob Dylan’s work "The most dazzling lyric ever written, an abstract narrative of relationships told in an amorphous blend of first and third person, rolling past, present and future together, spilling out in tripping cadences and audacious internal rhymes, ripe with sharply turned images and observations and filled with a painfully desperate longing." Bob Dylan wittily explained his writing, saying, “You've got yesterday, today and tomorrow all in the same room, and there's very little you can't imagine not happening." Sam Cooke rose to fame with pleasant, upbeat pop/soul standards such as ‘You Send Me’ and ‘Wonderful World.’ But after being turned away from a motel due to the color of his skin, Cooke decided he could not shy away from the issue of race any longer. Released two weeks after he was fatally shot, ‘A Change Is Gonna Come’ quickly became a civil rights anthem. Complete with a full string section, the song was Cooke’s most structurally complex composition. Bolstered by its lyrical substance and surrounding circumstances, it proved to be Cooke’s most enduring masterpiece. The song that inspired Sam Cooke to write ‘A Change Is Gonna Come’ was, according to Rolling Stone, “the most famous protest song ever written.” Journalist Mick Gold commends the titular lyric, calling it “impenetrably ambiguous: either the answer is so obvious it is right in your face, or the answer is as intangible as the wind.” Critic Andy Gill noted that, “for the first time, Dylan discovered the effectiveness of moving from the particular to the general…‘Blowin’ in the Wind’ could be applied to just about any freedom issue. It remains the song with which Dylan’s name is most inextricably linked, and safeguarded his reputation as a civil libertarian through any number of changes in style and attitude.” Many were stunned that a white man could write a powerful civil rights anthem that rang so true. Sasha Frere-Jones of The New Yorker said ‘Get Lucky,’ the most recent song in the top 100, was “as close to magic as pop comes.” Amy Sciarretto of PopCrush called it “excellent and unforgettable…if disco was still a viable genre in 2013, then ‘Get Lucky’ would reinvent the neo-disco genre and sound. Be honest – weren’t you grooving in your chair to the looped beat that is the track’s undercurrent? ...‘Get Lucky’ represents all that’s right with electronic music.” Already one of the best-selling singles of all time, it was overwhelmingly regarded as the best song of 2013; Rolling Stone, Entertainment Weekly, NME, Village Voice: Pazz & Jop, The Guardian, Pop Matters, Spin, and copious others all agreed. Rolling Stone called ‘The Message’ “a breakthrough in hip-hop, taking the music from party anthems to street-level ghetto blues…the song, driven by its signature future-shock synth riff and grim lyrics about urban decay, became an instant sensation on New York’s hip-hop radio.” David Hinckley of the New York Daily News said, in addition to forcing the pop world to notice rap and deal with hip hop culture, “‘The Message’ crystallized a critical shift within rap itself. It confirmed that emcees, or rappers, had vaulted past the deejays as the stars of the music.” When rap was just party music, rappers were an afterthought compared to the celebrated DJs. With ‘The Message,’ the art of rapping became truly serious and widely respected for the first time. 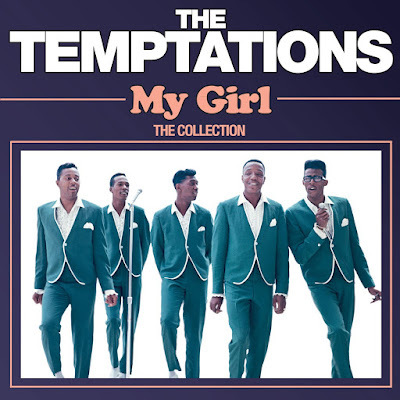 When Smokey Robinson heard The Temptations perform, he was impressed by David Ruffin, who had never sung lead vocals on a Temptations single. Robinson, determined to write a hit tailored to Ruffin’s style, wrote ‘My Girl,’ which he called “melodic and sweet,” but also a song that Ruffin could “belt out.” Ruffin did not disappoint. ‘My Girl’ reached No. 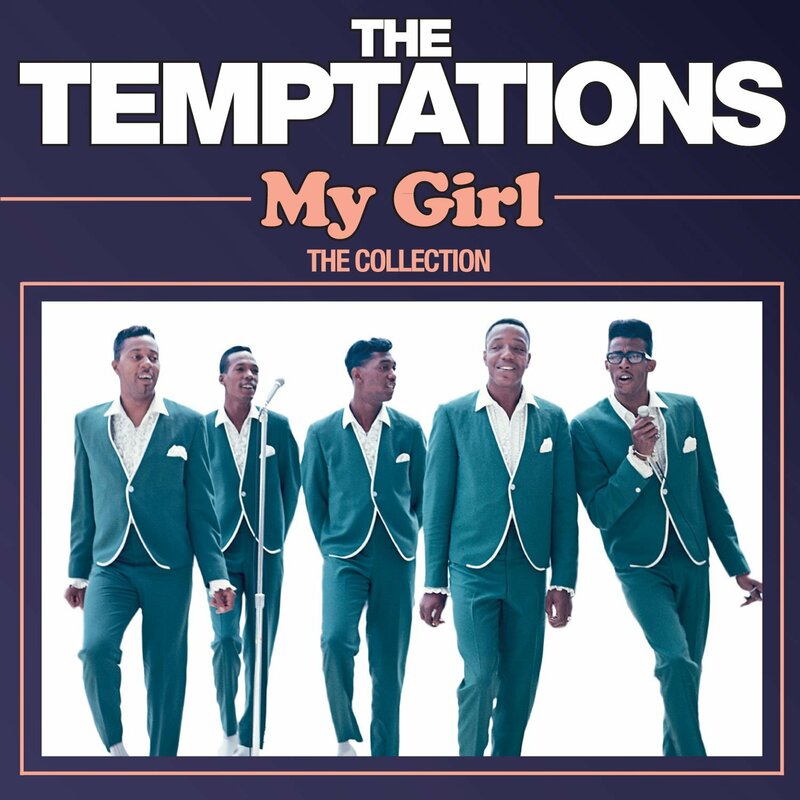 1 on the charts and became The Temptations’ signature song.